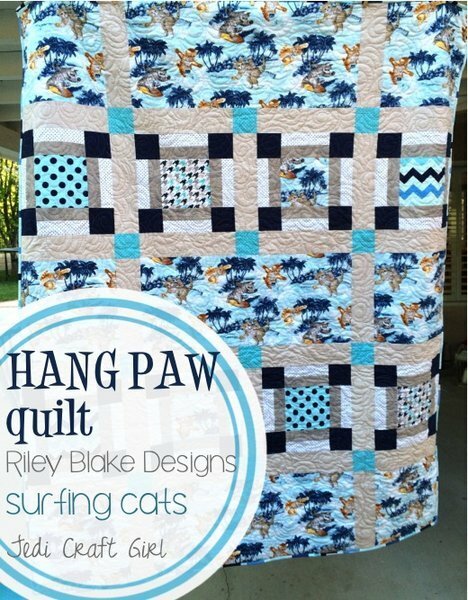 "I'm Amanda from Jedi Craft Girl and I can not contain my excitement for sharing my latest quilt pattern over here at Riley Blake Designs. I am a California girl through and through. I spent most of my teenage years at the beach trying to surf but really I was there to watch the cute surfer boys. I am also a crazy cat lady and I have been my whole life. 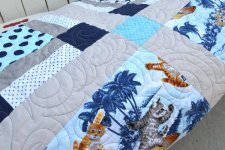 I also have loved quilting and sewing for pretty much my whole life. 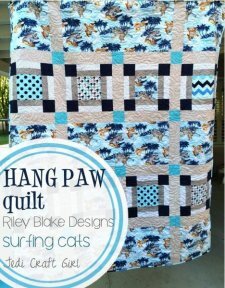 SOOOOOO when I saw this Surfin' Cats fabric from Riley Blake Designs - I died! 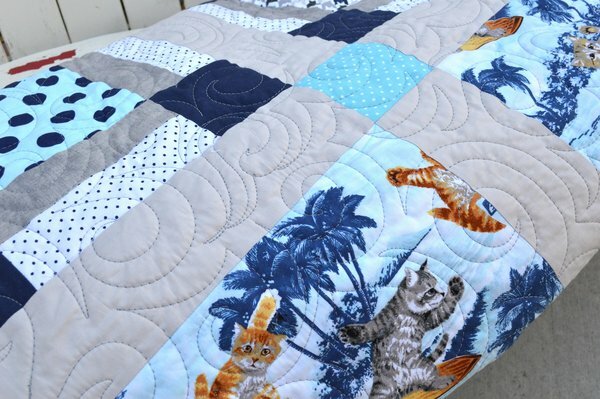 It literally combined three of my passions in one project: the beach, cats, and quilting. BRILLIANT!!"